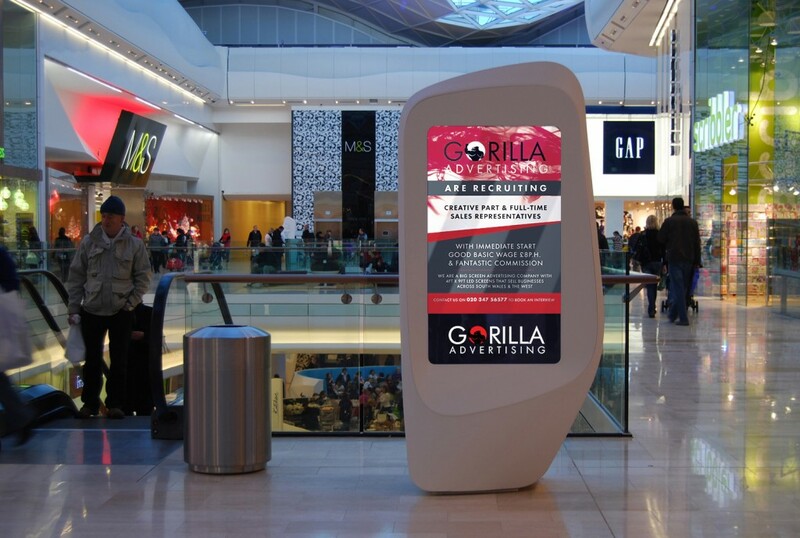 Gorilla Advertising are excited to announce as part of our growth and positioning as leaders of affordable, local advertising the introduction of our new Gorilla Smart (TM) Monitors. Over the next few months we will be rolling these new monitors out into all of our advertising display cases. These monitors support ultra HD, built in anti glare, low energy and most importantly all have built in connectivity to head office. So what does this mean for you our customer? We are so pleased you asked. This means we will be one of the most reactive suppliers of media in the market place. At Gorilla we work with you to develop your creative, we can get realtime data and adjust your advertising campaign dependent on the response and the ROI. Within the hour we will be able to have our network of screens displaying new content for your business. We will be able to offer new calls to action, new offers, new promotions the same day that you come up with them. The conversation that you have with your customer will be current. If you would liked to be part of the Gorilla Network with your company, brand or service featured on our Gorilla Smart (TM) screens then please do get in touch.